While my winter wardrobe is dominated mostly by jeans, I like to get back to wearing pants in spring and summer. Since I have such a short inseam and short legs (a 26" length goes to my ankle comfortably), I do struggle with finding styles that work for me. This is why I always opt for jeans because I can cut off a few inches and allow for a distressed hem at the bottom to solve any length issues. 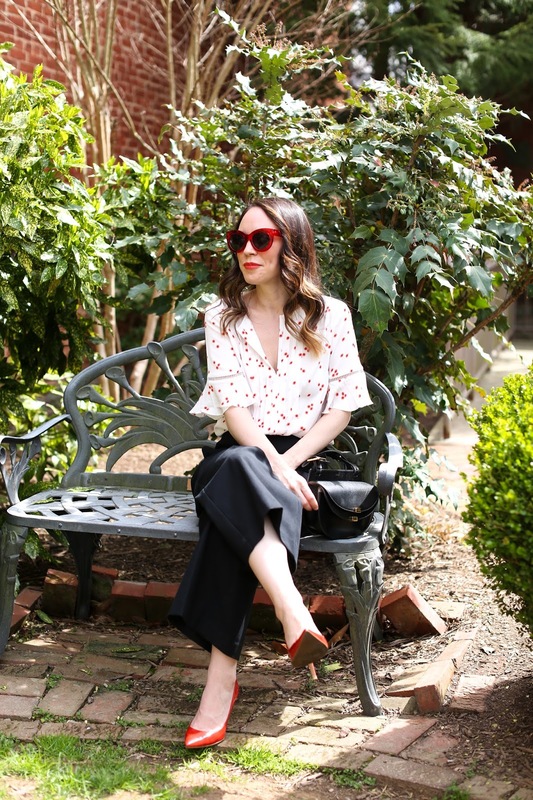 I've been excited to see that cropped pants are still so widespread now and have been opting for this style as an alternative to jeans (and no hemming or altering - yay!). I found these at Ann Taylor and they were the perfect length. 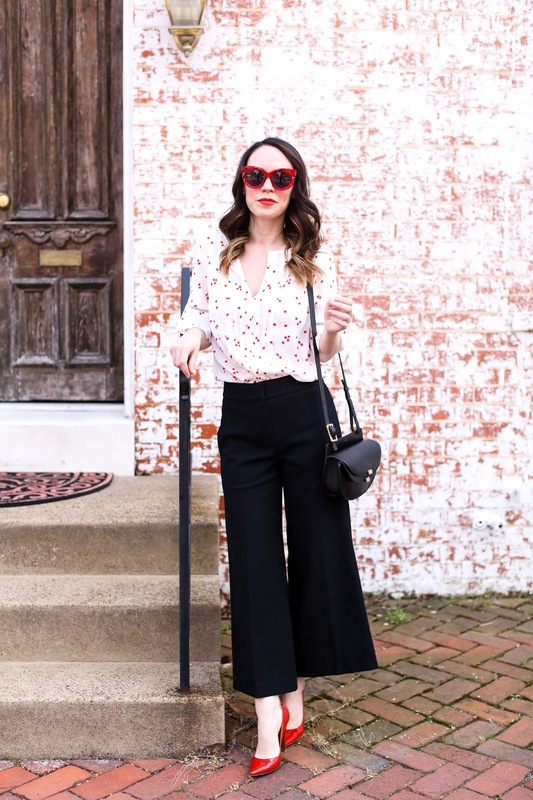 I know the wide leg is not a style everyone prefers, but I absolutely love it! I will be honest and say that they are not as versatile as jeans which you can dress up or down, since I wouldn't necessarily pair these with sneakers but I do love them with flats or sandals. The flutter sleeve blouse was one I kept coming back to online but wasn't convinced I would love it. I'm glad I didn't pass on it however, because it has a much more flattering fit once on. It's nice to finally be out of boots and sweaters - and spring makes me want to dress up a bit more!